Judith Evelyn (born Judith Evelyn Morris, March 20, 1909 – May 7, 1967) was an American-Canadian stage and film actress who appeared in around 50 films and television series. Evelyn was born Judith Evelyn Morris in Seneca, South Dakota, United States. She was raised in Moose Jaw, Saskatchewan. She attended the University of Manitoba, where she was active in drama, and went on to develop her acting skills at Hart House. Evelyn worked on radio both for the British Broadcasting Corporation and for the Canadian Broadcasting Corporation. Her early stage experience included being a member of a Canadian Chautauqua unit in 1932. The next year, she performed with the Pasadena Community Playhouse in California. All of the four plays were made into films, but Evelyn did not appear in any of them. 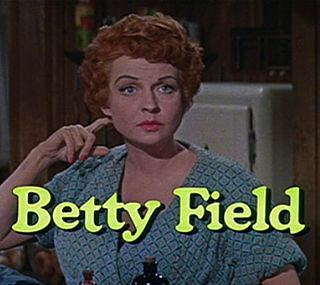 She did appear in other films, including as Miss Lonelyhearts, the lonely alcoholic spied on by James Stewart in Alfred Hitchcock's Rear Window. In 1956, Evelyn played the role of Nancy Lynnton in George Stevens' Giant. She also had a brief performance as Queen Mother Taia in Michael Curtiz's The Egyptian, and was featured with Vincent Price in The Tingler (1959). In the fall of 1958, Evelyn guest-starred as Clara Keller, a lonely widow who falls prey to communist agents in the episode "Man in the Moon" of Bruce Gordon's short-lived Cold War docudrama Behind Closed Doors. On September 3, 1939, she and her fiancé, Canadian radio producer Andrew Allan, survived the sinking of the Anchor-Donaldson liner SS Athenia. The Athenia was the first British passenger liner to be sunk by a German submarine in World War II. In 1942, Evelyn won the Distinguished Performance Award from The Drama League, an award that is "bestowed each season on a single performer from over sixty nominated performances from Broadway and Off-Broadway." Evelyn died from cancer in New York City on May 7, 1967. She was 58 years old. She is interred at the Kensico Cemetery in Valhalla, New York. ^ Sirvaitis, Karen (1 September 2001). South Dakota. Lerner Publications. p. 67. ISBN 978-0-8225-4070-0. 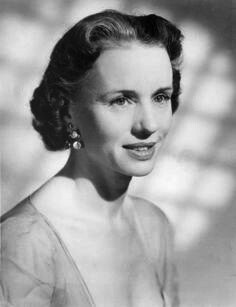 ^ a b "Judith Evelyn Dies". The Ottawa Journal. Canada, Ottawa, Ontario. May 8, 1967. p. 36. Retrieved July 10, 2016 – via Newspapers.com. ^ "N.Y. Drama League Award Won by Canadian Actress". Ottawa Citizen. Canada, Ottawa, Ontario. May 16, 1942. p. 25. Retrieved 11 July 2016. ^ a b "Prairie Star Shines On Broadway". The Winnipeg Tribune. Canada, Winnipeg, Manitoba. December 8, 1941. p. 13. Retrieved July 10, 2016 – via Newspapers.com. ^ "Alfred Hitchcock's 'Rear Window' invented suspense | Reading Eagle - VOICES". Reading Eagle. Retrieved 2017-11-01. ^ Staggs, Sam (2006-07-25). When Blanche Met Brando: The Scandalous Story of "A Streetcar Named Desire". Macmillan. ISBN 9781466830486. ^ "Behind Closed Doors". ctva.biz. Retrieved September 2, 2009. ^ "Judith Evelyn Archives - Thomas C Sanger". Thomas C Sanger. Retrieved 2017-11-01. ^ Carroll, Francis M. (2012). Athenia Torpedoed: The U-boat Attack that Ignited the Battle of the Atlantic. Naval Institute Press. ISBN 9781591141488. ^ "Award History". Drama League. Retrieved 11 July 2016. Muriel Teresa Wright was an American actress. She was nominated twice for the Academy Award for Best Supporting Actress: in 1941 for her debut work in The Little Foxes, and in 1942 for Mrs. Miniver, winning for the latter. That same year, she received a nomination for the Academy Award for Best Actress for her performance in The Pride of the Yankees, opposite Gary Cooper. She is also known for her performances in Alfred Hitchcock's Shadow of a Doubt (1943) and William Wyler's The Best Years of Our Lives (1946). Sandra Miju Oh is a Canadian actress. She is known for her role as Cristina Yang on the ABC medical drama series Grey's Anatomy, who she played from 2005 to 2014; as Eve Polastri in BBC America's murder-mystery series Killing Eve; and for her supporting role as Rita Wu on the HBO sitcom Arliss. The recipient of numerous accolades, including two Golden Globe Awards, four Screen Actors Guild Awards, and six Primetime Emmy Award nominations, Oh became the first actress of Asian descent to be nominated for the Primetime Emmy Award for Outstanding Lead Actress in a Drama Series and the first Asian woman to win two Golden Globes. She was included in Time's 2019 list of the 100 most influential people. Alison Pill is a Canadian actress. A former child actress, Pill began her career at age twelve, appearing in numerous films and television series. She transitioned to adult roles and her breakthrough came with the television series The Book of Daniel (2006). That same year, she was nominated for a Tony Award for Best Featured Actress in a Play for her performance in The Lieutenant of Inishmore (2006). Betty Field was an American film and stage actress. The Royal Winnipeg Ballet is one of the world's premier dance companies. Based in Winnipeg, Manitoba, it is Canada's oldest ballet company and the longest continuously operating ballet company in North America. Gas Light is a 1938 play by the British dramatist Patrick Hamilton. The play gave rise to the term "gaslighting", meaning a form of psychological abuse in which false information is presented to the victim with the intent of making them doubt their own memory and perception. Margaret Leighton, CBE was an English actress. Her film appearances included The Winslow Boy (1948), Under Capricorn (1949), Calling Bulldog Drummond (1951), Carrington V.C. (1955) and The Best Man (1964). For The Go-Between (1971), she won the BAFTA Award for Best Actress in a Supporting Role and was nominated for the Academy Award for Best Supporting Actress. Frank Radford "Budge" Crawley, was a Canadian film producer, cinematographer and director. Along with his wife Judith Crawley, he co-founded the production company Crawley Films in 1939. Henry Burk Jones was an American character actor of stage, film and television.